One of the things that I planned to do on my forthcoming vacation is to work on a photo book or something that could showcase our travels abroad. Every travel that we had as a family is memorable for me, so I would like to have it on display to remind us of the happy and precious moments we've spent together. A photo book is a nice and easy option as you just have to order this online or you can go straight away to the shop to choose your design. 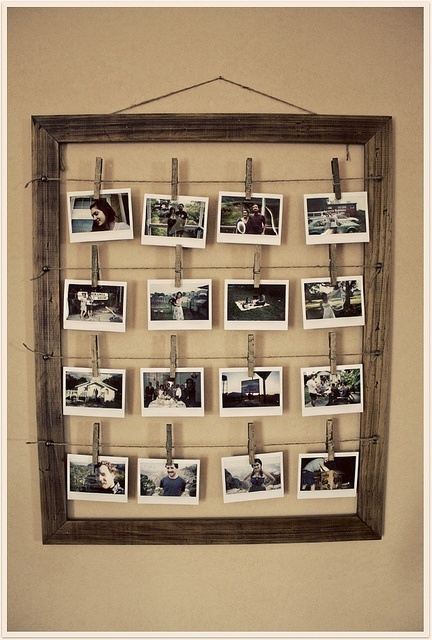 But the idea of recycling an old photo frame to hang your laminated pictures in a string using wooden clothespin is a unique idea. I think this is much cheaper than a photo book , too.